These constructions were the solution to water supply, once a common problem in Somontano. In order to reach the underground spring, people would descend a set of stairs to a vaulted chamber where the water emerged and was stored. 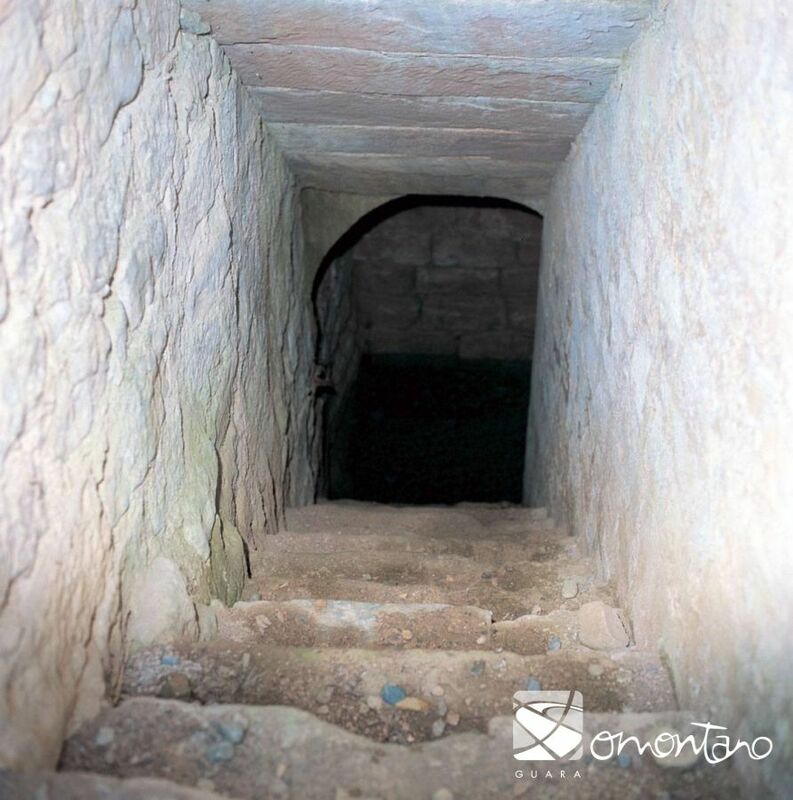 In Adahuesca the staircase down to the spring is totally covered with a trabeated ceiling, which runs parallel to the stairs, creating a sensation of extreme narrowness. 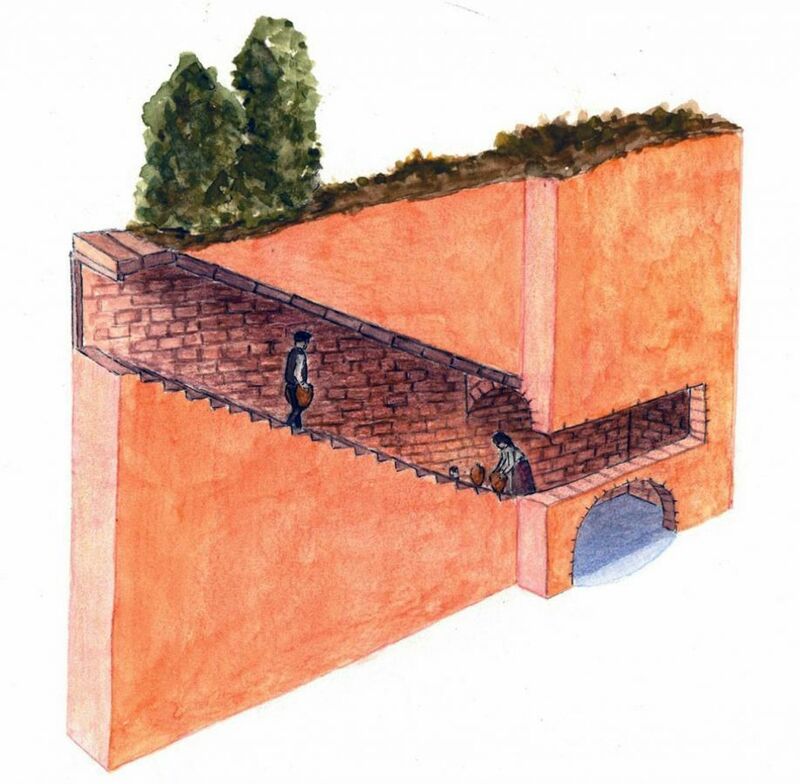 All the spring wells in Somontano follow a model with the first stretch of the staircase open and the remaining part covered with a vaulted structure. Because of this, the structure in Adahuesca is quite unique. 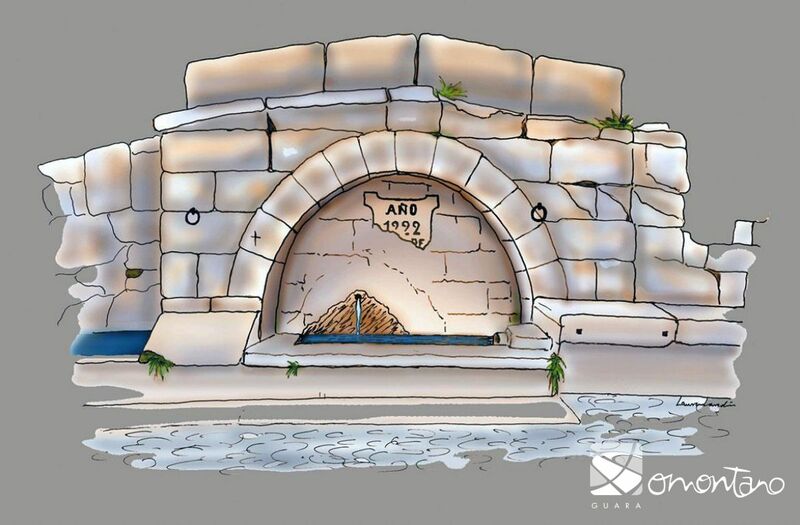 On the night of the festival of San Juan, the underground well of Adahuesca is the scene of the sanjuanadas, or purifying baths on the magical night of the summer solstice. The spring also feeds a conventional fountain that can be seen a short distance away. It is one of the few villages of the region where both kinds of water supply can be found.